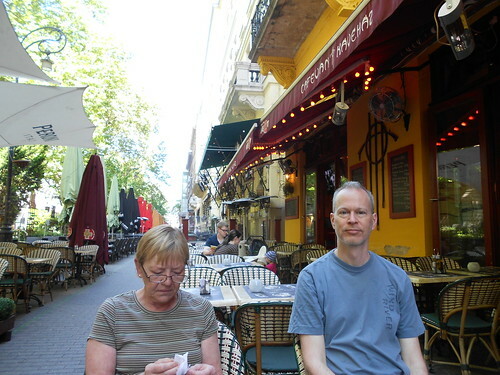 Liszt Ferenc tér (i.e., Franz Liszt Terrace) is a fantastic pedestrian-only street of pubs, cafes, trees, and lights. 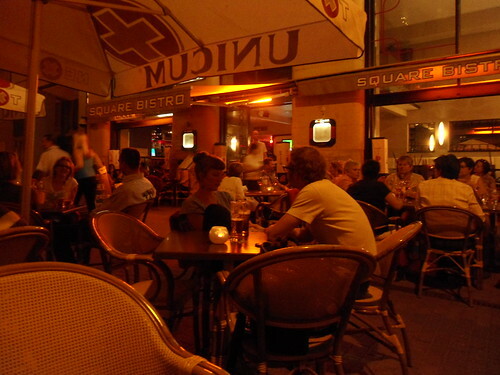 The nightlife here is fantastic, and a great place to enjoy a beer on a hot Budapest night. 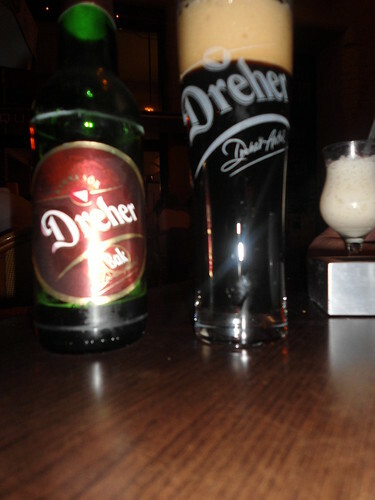 And what a beer I had: a Dreher Bak. This double bock, 7.3% abv dark lager is superb. I didn't know I could like a lager so much. This is what the street looks like during the day.